Web Directories Submission. As a webmaster we must know the tricks to introduce our website. 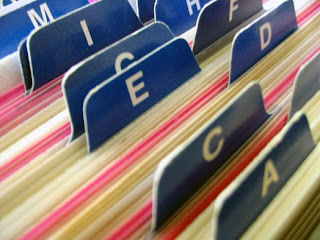 In addition to manually submit to multiple search engines, we can use web directories. How it works is quite easy because we live enter website url with little information relating to the theme of the web. Web directories have some type of, paying (business web directories) and the free (free web directories). How they work almost the same, which differentiate only on the number of visitors from these directories. Business directories that are usually paid a website that is well known and have many visitors. But some free web directories also has many visitor and quite popular, some examples such as Dmoz and Yahoo Directories. Both are giants in the field of business web directories, but they have facility to web directories for free. Although Dmoz is a free, that directory have filter for web submision, so it is not easy to be indixing in Dmoz directories. Some websites provide services to submit simultaneously to several web directories, but the services they provide are not free. The number of web directories that many make a webmaster lazy to submit website manually. In addition to using the services of the auto submit, there were several tools that can do submision to thousands of web directories. However, if you do so automatic we can not filter web directory which has many of the visitor. Sometimes we even get stuck in a spam trap that use our email information from free service for website to submit web directories, so be careful. So web directories is an important part in introducing our website. In addition to the web directories, we also can attract a lot of the visitor. With the number of submission to directories will increase the number of backlink which can help us in the SEO (Search Engine Optimization). Backlink is most important part to get pagerank in search engine. Tapi susah banget masuk ke dmoz. Butuh usaha dan kerja keras yang kuat. @akmal.. Butuh perjuangan dan kerja keras kalo mau masuk dmoz,, tapi saya kira hasilnya cukup setimpal..